. إن Byron Bay Rainforest Resort حريص على توفير الراحة للنزلاء، فلا يوفر الموظفون جهداً في تقديم أفضل الخدمات وضمان حسن الاستقبال. هذه بعض الخدمات الموجودة في هذا الفندق: واي فاي مجاني في جميع الغرف, مجهز لذوي الإحتياجات الخاصة, مطبخ, مرافق مخصصة لذوي الاحتياجات الخاصة, واي فاي في المناطق العامة. 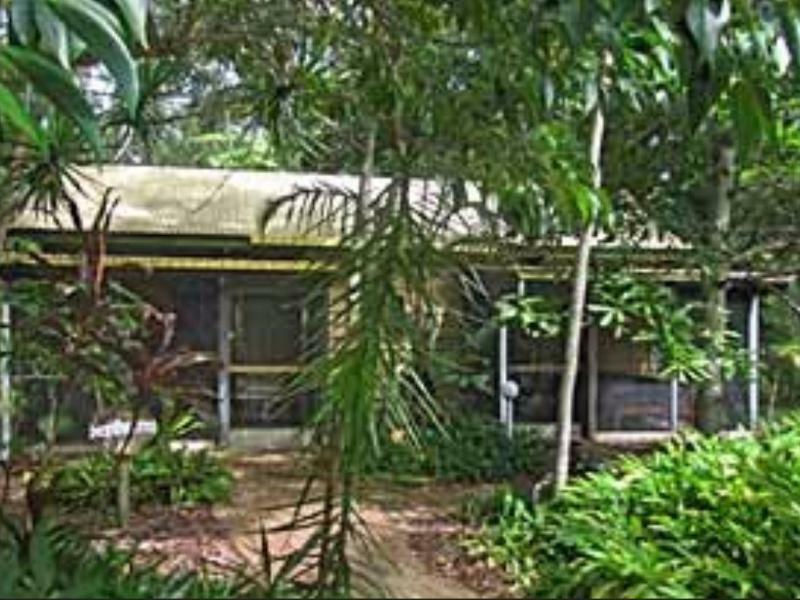 تنعكس أجواء Byron Bay Rainforest Resort في غرف الضيوف.تلفزيون بشاشة مسطحة, مكيف هواء, تدفئة, شرفة/ تراس, ساعة منبه هي بعض الميزات الموجود في العديد من الغرف. كما أن مجموعة الخدمات الواسعة الموجودة في الفندق لضمان راحتك تترك لك الكثير من الخيارات لقضاء وقتك أثناء فترة إقامتك. إن Byron Bay Rainforest Resort هو خيار ذكي بالنسبة للمسافرين، فهو يوفر إقامة هادئة ومناسبة للاسترخاء. Great dog friendly accomodation. Places like this are very hard to find. Will be back for sure. We liked staying between Byron and Suffolk Beach. A short drive or bicycle ride to either. Great little private cabins. Older style but everything you need. About 5 mins drive out of town but in a great peaceful spot. Lovely walking trail to Tallows Beach which is a lot quieter than Main Beach. 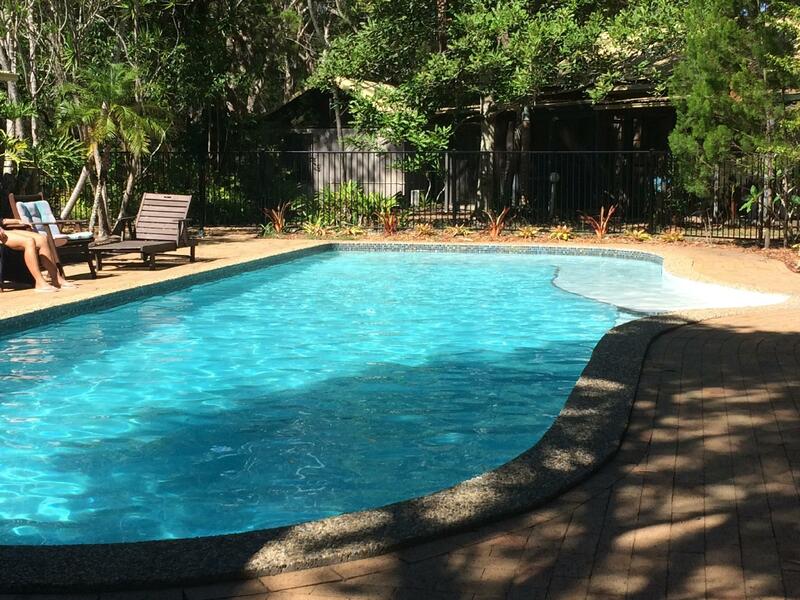 Lovely pool and also has a room with a pool table and table tennis. Would stay again. 5 star. Great experience. Loved it so much. I was stayed in room 5 amazing view from there you actually can see the sky while u r sleeping. Owner was so good and friendly. Good but not very good! Great little bungalow to ourselves. Very good value for money. 10 mins drive from the centre of Byron (just near Suffolk Park). Loved it. Myself and four kids. They loved the pool, ping pong, spa and being surrounded by bush (oh, and the TVs in each room). I loved the peace! We took a walk to the beach which was a nice 20 mins walk through gorgeous bush. Warning to parents though, the un-patrolled, doggie beach is not a great place for little kids to swim - several large rips. Strong ocean when we were there. We'll come back, for sure. It's isn't Shangri-La, but the hosts are nice, the rooms are clean and comfortable and it's Byron afterall. I felt it was a great price for what we got. Pool, nice walk to an isolated beach. Wilderness!!! Price, clean rooms, spacious cottage. We have had a great time and looking forward to stay at your resorts again in future. good location, great surroundings, friendly and helpful staff.. Rooms were great, but the lounge and dining area was cold in the evening and the mornings. Maybe they should be closed in with glass rather than just screen. Good room layout. Kitchen was difficult to use - the stove was difficult and it was hard with not enough electrical plugs for stove, microwave and electric fry pan. Service was lovely. We didn't expected such an location. It was terrible to take a shower and it was in a very simple and old and really bad condition. We didn't know how to sleep in the middle of many spiders around us into the bedroom. 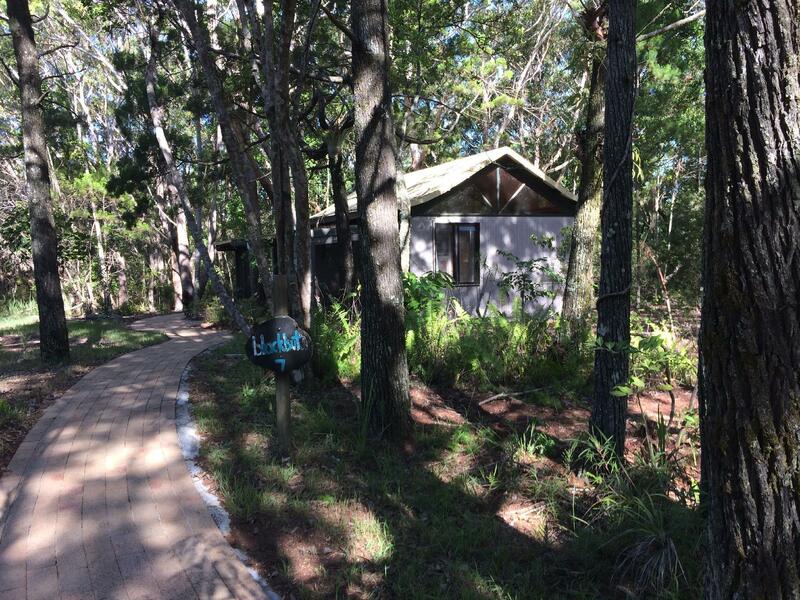 it s not far from byron bay city centre and beach, but at the same time it s a quite, nice, surrounded by rainforest place, was perfect for relaxing weekend out. nice rooms. Far enough from town to avoid the hustle but close enough to make it easy to see everything. 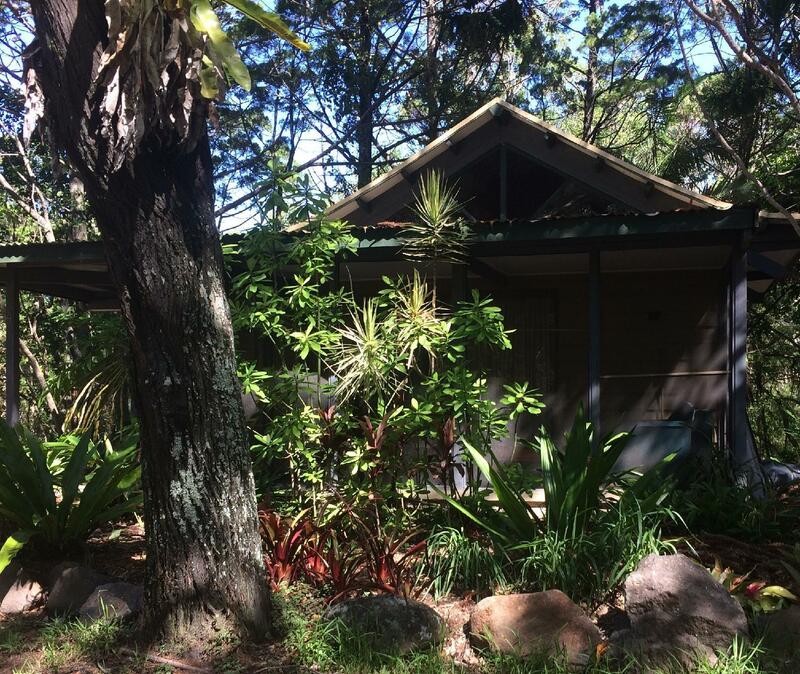 Even though we went the week of Schoolies we would never have known if we hadn't gone to town as we had nothinh but peace and quite during our stay and the beautiful rainforest surrounding where perfect.